The European Court of Justice ruling this morning (7 March) that countries have full discretion to refuse humanitarian visas will have serious consequences for the EU’s ability to manage migration and for the lives and safety of thousands of people, writes Thomas Huddleston. Thomas Huddleston is programme director for migration and integration for Migration Policy Group. Most potential asylum seekers to the EU are faced with an absurd impasse enforced by the hypocrisy of most countries that have signed the UN Refugee Convention. Since countries are not allowed to turn away asylum seekers at their borders, most try to ensure that asylum seekers simply cannot get there in the first place and thus cannot apply for asylum. A humanitarian visa, however, can allow people in very specific circumstances to apply from abroad to enter the country legally. This short-term visa would allow them to escape immediate risks like torture and later on decide whether or not they want and need to apply for asylum or another long-term visa to remain in the country. The case, X and X vs. the Belgian State, was brought by the Council of Aliens Law Litigation in Belgium, which asked the ECJ to rule on the case of a Syrian family of four who last year filed a request for a three-month humanitarian visa at the Belgian embassy in Beirut, Lebanon. However, the Belgian government refused to grant the visa. In October 2016, the Council ruled that the visa should be granted and, in December 2016, a court of appeal upheld the council’s decision. The ECJ was widely expected to back the advocate general’s opinion, but instead decided to rule in favour of Belgium, underlining that humanitarian visas are dependent on national – not EU – law. In the face of fear-mongering rhetoric from politicians such as Marine Le Pen in France, Geert Wilders in the Netherlands and Donald Trump in the US, EU institutions and governments frequently evoke the need to promote Europe’s values. However, Belgium and the other countries supporting it in this case did not mention any of these values in their observations. The decisions of these countries and of the ECJ do not show any acknowledgement of European values. Indeed, it was the Advocate General who highlighted in his opinion the EU Fundamental Charter and the EU’s obligation to uphold the “respect for human dignity … and the respect for human rights…in its relations with the wider world”. Today’s negative decision is a major missed opportunity to offer the most vulnerable, especially women and children, an alternative to smugglers and what has become the most deadly route in the world for refugees. 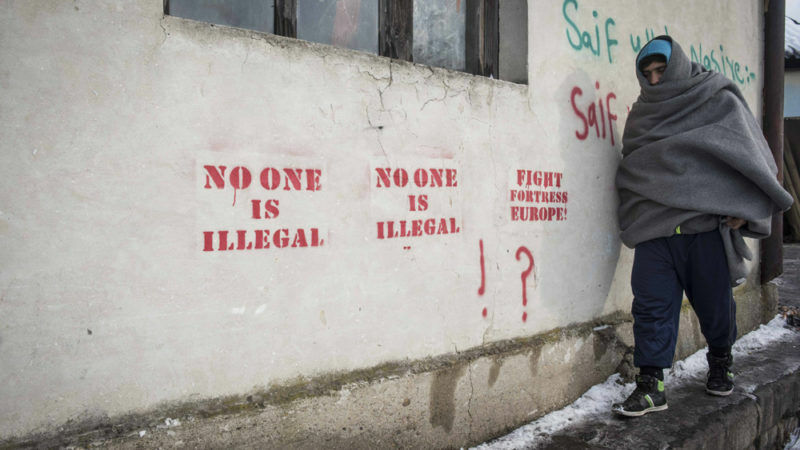 Without many more legal channels for international protection, such as those offered by humanitarian visas, EU member states will push asylum seekers to use the increasingly dangerous irregular routes that these governments are trying to stop at great financial, political and human cost. Women and families are at greatest risk of violence and exploitation along these routes. As noted by the Advocate General, opposition to humanitarian visas is totally incoherent with the EU’s aims of combating human trafficking, smuggling and organised crime. Unfortunately, humanitarian visas have become the object of wildly exaggerated fears by the Belgian immigration minister and those siding with Belgium from other member states even though the Advocate General had argued that the right to them would only apply to people fleeing very specific circumstances, namely torture and inhumane or degrading treatment that have been well-defined by European and UN human rights watchdogs. Furthermore, many humanitarian visas have been well-managed in the past and EU embassies and consulates would be able to handle the number of incoming applications if they started to prepare the procedures immediately and worked together. However, the ECJ’s negative decision means that governments no longer have the incentive to prioritise humanitarian visas. The orderly solution offered by humanitarian visas and other legal channels would be much better than the anxious situation today, where member states fear the return of large-scale spontaneous arrivals because they know that their deals with third-countries like Turkey and Libya are trapping many refugees in an impossible situation. They cannot return home, settle locally or move on legally. Both governments and refugees are running out of options. That is why EU migration NGOs have warned that, when it comes to opening legal channels for refugees, the EU and its member states have “no time to waste”. The European Parliament has already called for a clear legal framework under EU law that would address member states’ concerns about the practical and legal feasibility of humanitarian visas. Now the responsibility is on national governments to act and on EU citizens to speak out in favour of safe and orderly migration. MPG has dug into this case in the March edition of the Migration News Sheet. As at the end of this article is written that is my obligation as EU citizen to speak I will speak: Euroactive, please , stop to publish such insane liberal opinions . People like Thomas Huddleston whant to eliminate native EU citizens and replace them with muslims. But that will not happen, we will resit against such liberal policy.